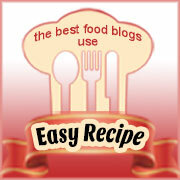 We only list food blogs by Australians living in Australia or around the world. The blog must be primarily focused on food, and capable of having it’s own Alexa ranking (sorry, that excludes Facebook and other social media pages). If you know of a blog that’s not in our index, please leave the site name and the state, if you know it. We’ll check it out and if it meets with our criteria, we’re happy to include it.